Highly regarded throughout the world as the industry standard. Official Solartron Analytical (Ametek) distributor in the UK and Ireland. Designed to provide cost-effective DC and AC analysis in electrochemical and materials research, the 1260A features an outstanding measurement specification for impedance spectroscopy, with a frequency range extending from 10 µHz to 32 MHz. 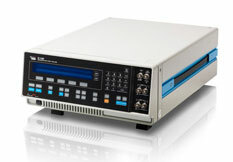 The 1260A can be operated standalone for high bandwidth impedance tests on materials, or in combination with the 1287A for impedance spectroscopy with a 10 µHz to 1 MHz frequency range. Computer control is via IEEE488 (GPIB) interface, using Solartron’s popular ZPlot/Corrware software. Using a single sine technique, the 1255B precisely measures gain and phase between any two points in a system. This fully digital technique is used to assess the performance of both simple and complex mechanical, electronic and electrochemical systems. The 1255B has a 1 MHz frequency range and 1 in 65 million frequency resolution. This instrument can be combined with the 1287A for high performance electrochemical impedance spectroscopy over the frequency range of 10 µHz to 1 MHz. Computer control is via IEEE488 (GPIB) interface, using Solartron’s popular ZPlot/Corrware software. The system is easy-to-use, even for non-technical personnel. Electrochemistry Combined with a potentiostat such as model 1287. Materials Testing Combined with a 1296 Dielectric Interface and temperature test equipment. The model 1252A offers equivalent performance to the 1255B (above), with an upper frequency limit of 300 kHz. Manual or computer control via IEEE488 (GPIB) interface.